Such hypocrisy and reverse-racism is breathtaking. The brutal truth is Sharpton, Holder and Obama will never address this officer’s death because he was white and because they protect the black gangs out there. Officer Kevin Quick was kidnapped and murdered by four black gang members – they belong to the Bloods street gang known as the 99 Goon Syndicate out of Los Angeles. Quick was forced to drive from ATM to ATM to get money, then he was taken out in the woods and executed as a gang initiation rite. It never really made the news and it certainly didn’t make Obama’s talking points. No, he was too busy stirring a race war over a young thug who attacked a police officer, who then did his job and took that thug down. Obama is now embroiled in nationwide protests created by radical groups at his bidding. CHARLOTTESVILLE, Va. (WRIC) –According to federal court documents, four people have been charged with murder in the death investigation of Capt. Kevin Quick. Daniel Mathis, Shantai Shelton, Mersadies Shelton and Travis Bell (a.k.a. Kweli Uhuru) are charged with murdering Quick. The capital murder charge could carry a very serious penalty, according to U.S. Attorney Tim Heaphy. Five others – Gert Wright III, Anthony White, Anthony Stokes, Leslie Casterlow and Devante Bell – are facing gang-related racketeering charges in connection to the case. Those indicted are all members of a subset of the Bloods street gang known as the 99 Goon Syndicate. The indictment spells out how members of the gang allegedly carjacked and kidnapped Quick and then drove around to various banks, attempting to withdraw cash from his accounts before murdering him and dumping his body in Goochland County. The gang is also charged with numerous robberies, shootings and assaults taking place across Central Virginia as well as drug and weapons charges. Officials from Virginia State Police, the Federal Bureau of Investigation and the Waynesboro Police Department held a news conference Friday at the United States Attorney’s Office in Charlottesville to deliver details on the charges the suspects face. Quick, of Rockfish, was reported missing on Feb. 1, when he failed to arrive at his girlfriend’s residence in Albemarle County. 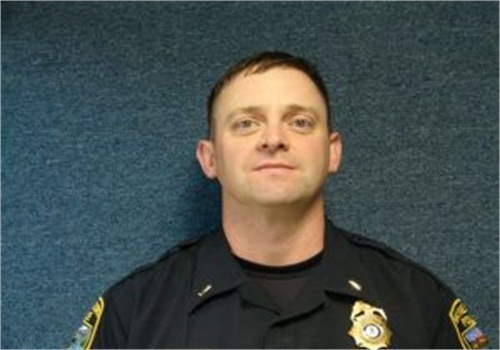 The 45-year-old captain was last seen in Nelson County on Jan. 31, and was found dead in Goochland County on Feb. 6. Holder, Jackson, Sharpton and Obama are racists, pure and simple. Had this been the KKK or some other group and a black person had died, it would have an apocalyptic moment and more riots and mayhem would have been pushed, pandered and promoted. But another white cop dies, this time murdered brutally, and Obama shrugs. He’s too busy going to the hospital for a sore throat and acid reflux to give a crap about another dead infidel. Not a peep from the sycophant media. Riots are too sexily alluring – a cop’s murder… not so much. Sharpton is nowhere to be seen or heard on this – he’s out there organizing protests and riots for a new faux civil rights movement where he can pad his tarnished legacy and make more money.